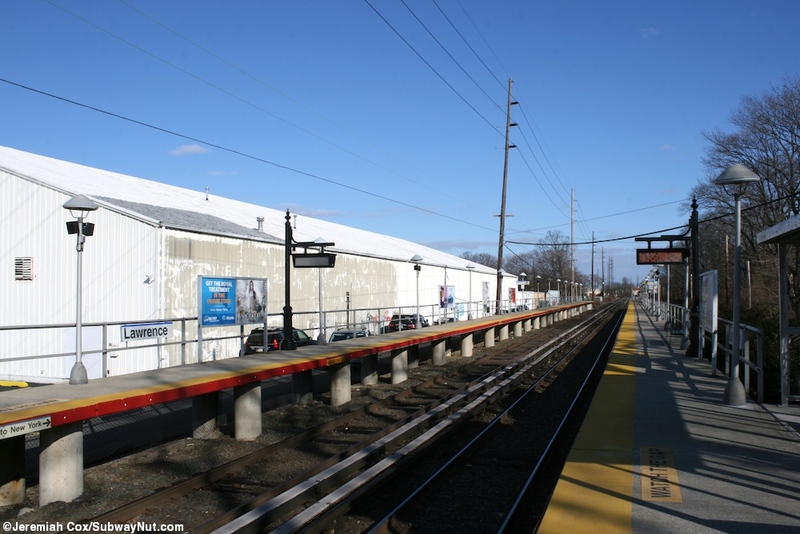 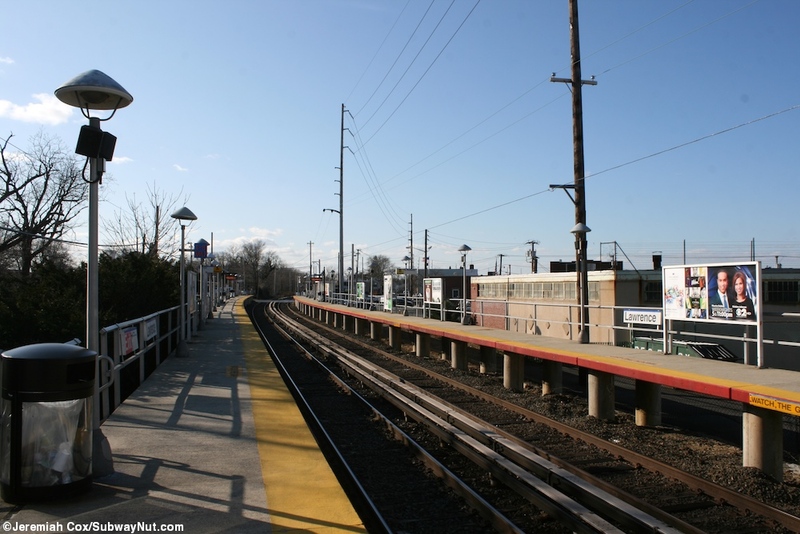 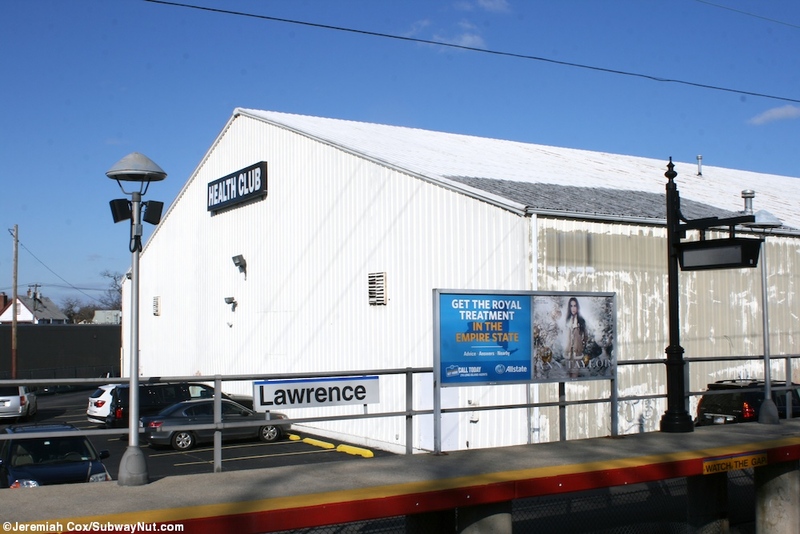 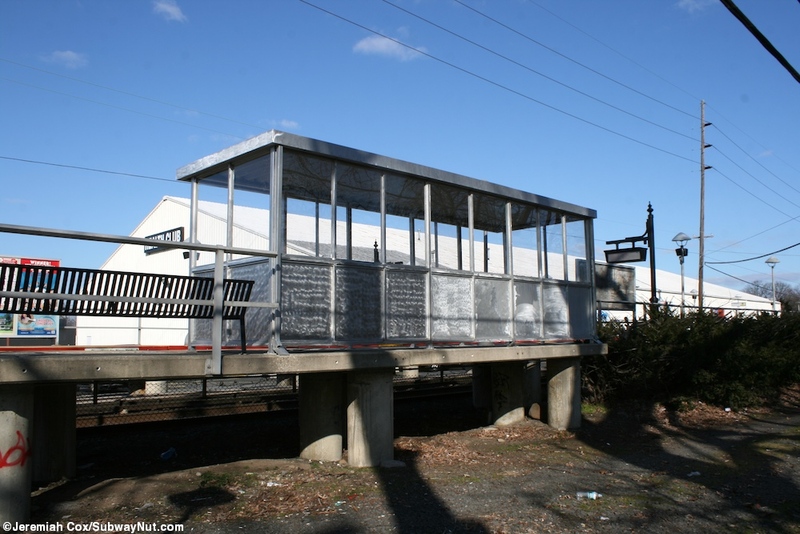 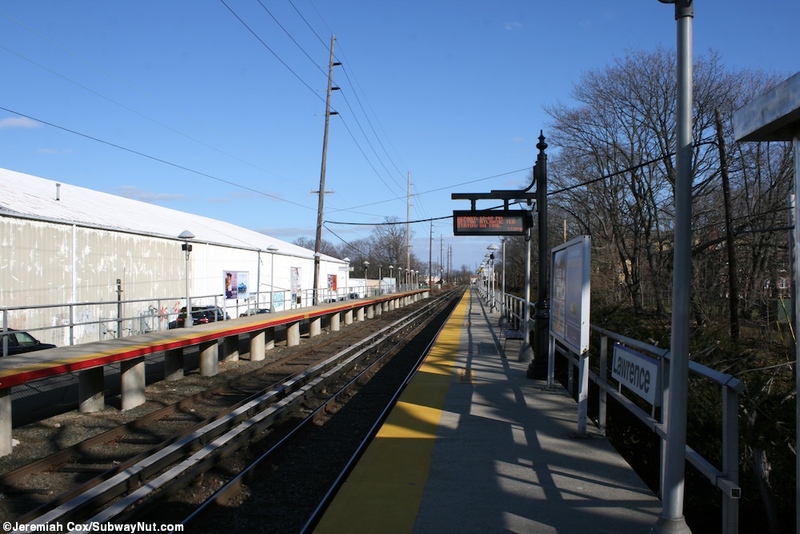 Lawrence is a stop on the Far Rockaway Branch and has two side platforms built and still in use from around 1968 when the M1s were introduced. 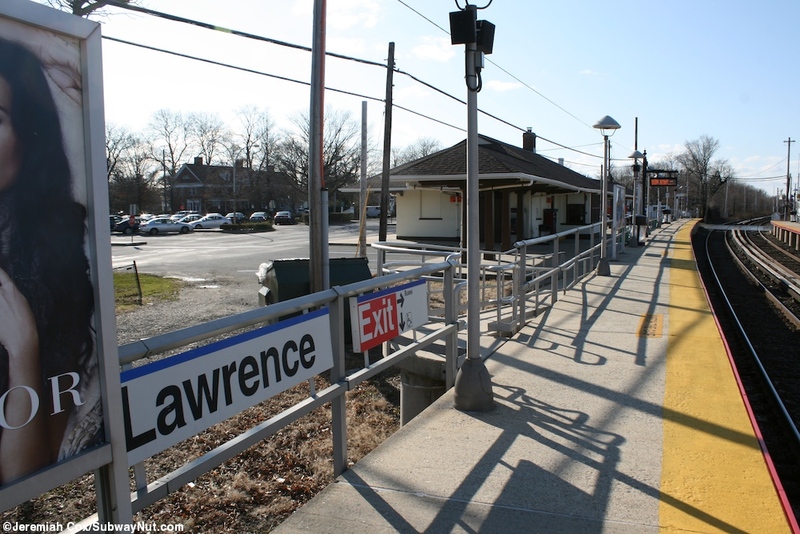 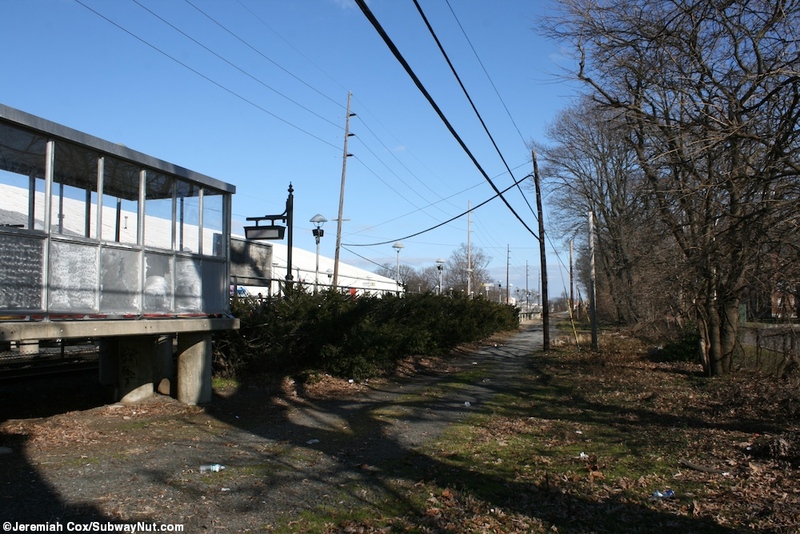 The station has two side platforms that extend north from the grade crossing with Lawrence Avenue. 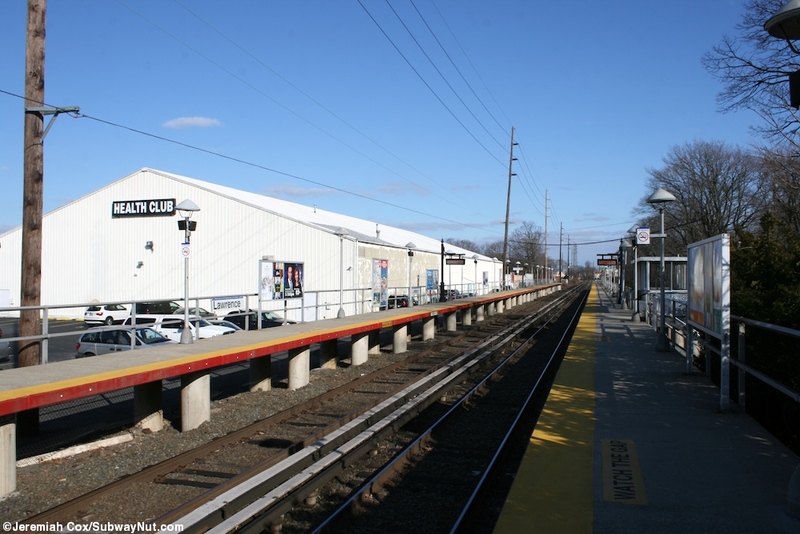 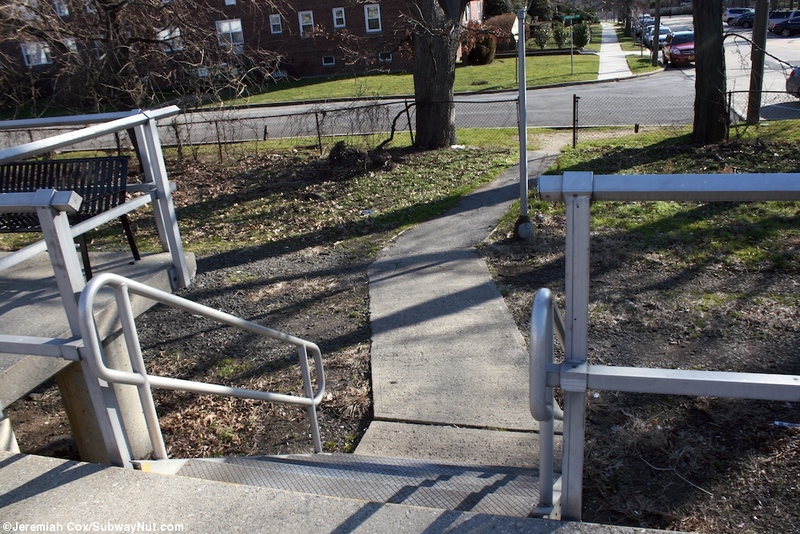 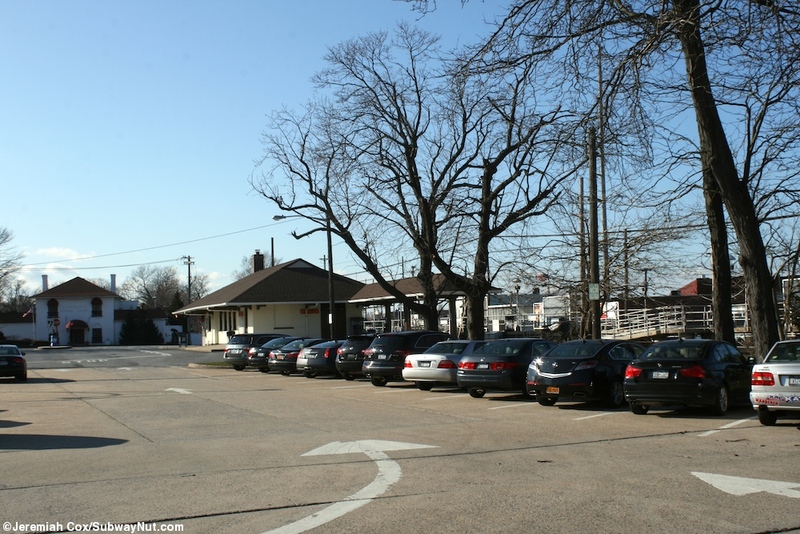 The Far Rockaway-bound platform is along a small parking lot and includes a staircase and ramp at its very end along with just one more staircase from a small parking lot before it extends down past a warehouse that has Health Club lettered on it. 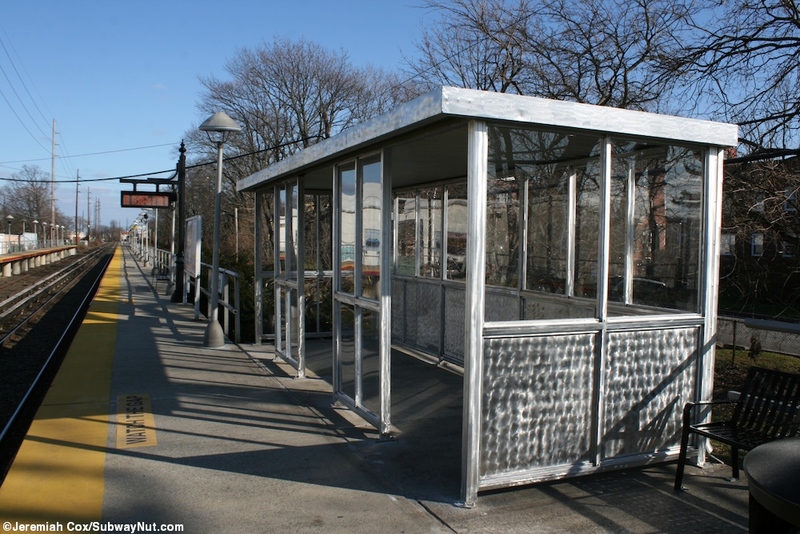 The only shelter is a single metal canopy. 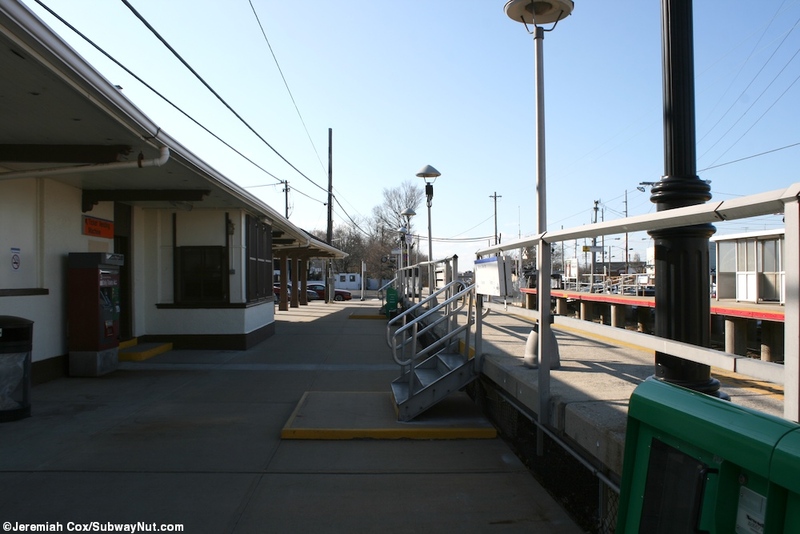 The New York-bound platform begins at the same grade crossing and has the station's parking lot along it with ramps and staircases up to the platform. 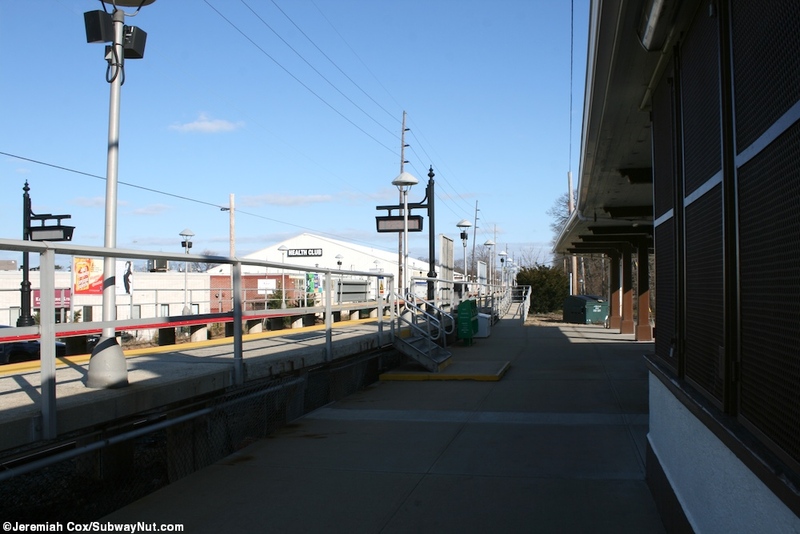 Along this platform just set back is the 1913 (Trains are Fun, LIRR Station History) depot still open weekdays from 5:00am to 2:30pm and lost it's ticket agent in April 1996 (Carole Paquette 'L.I.R.R. 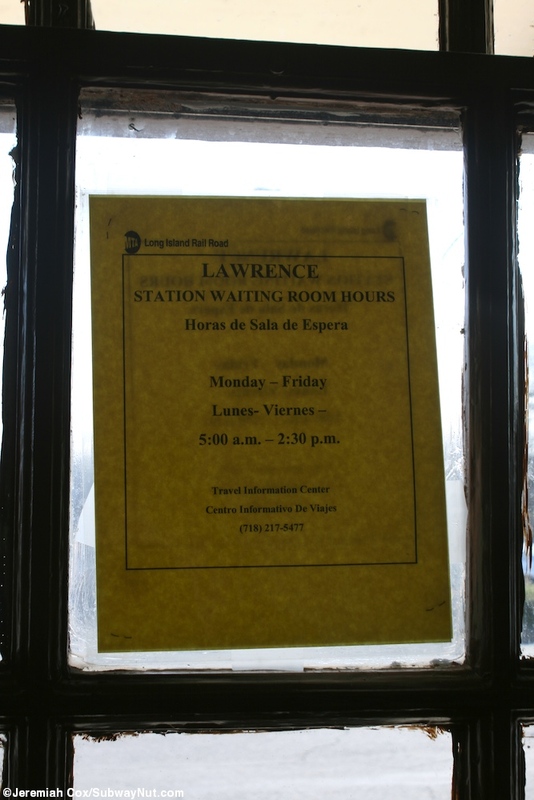 Moving to Drop 32 More Ticket Windows' The New York Times, Jaunary 14, 1996, Link). 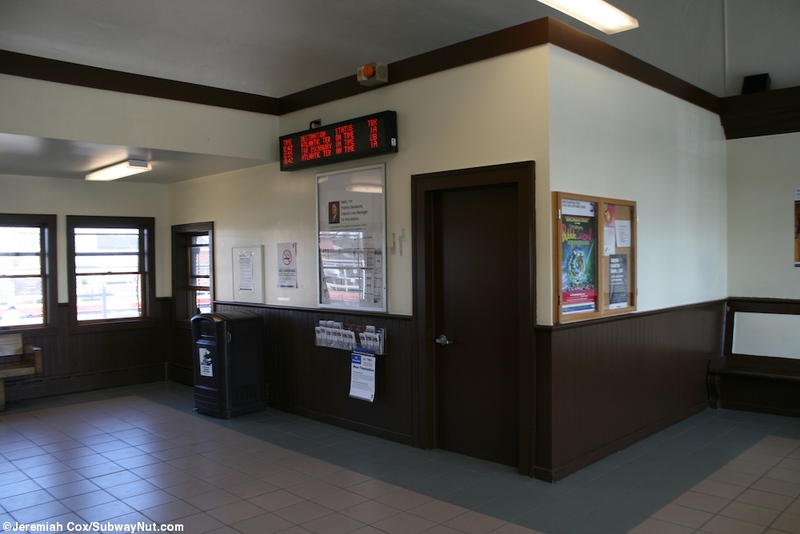 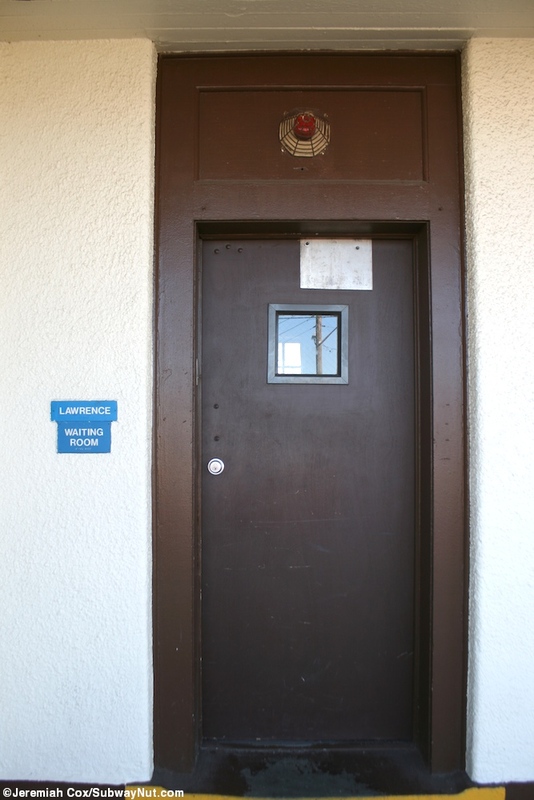 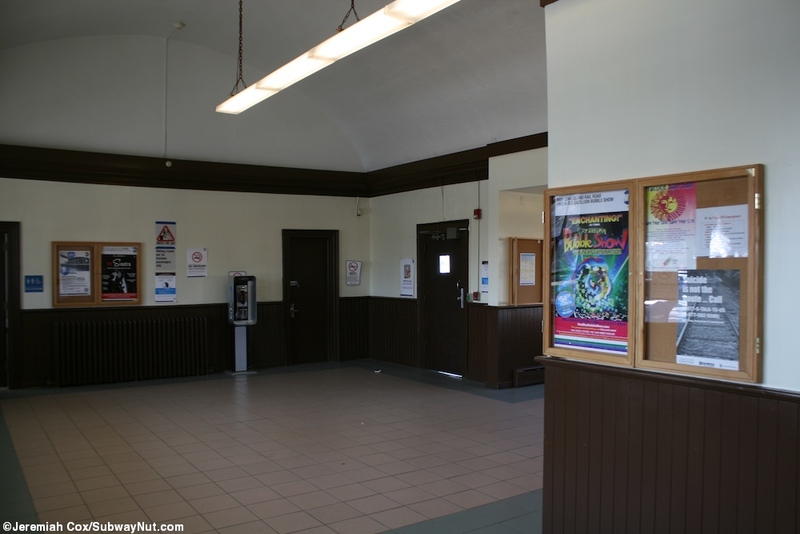 The depot has a few benches along two different walls and also includes a single, quite large bathroom. 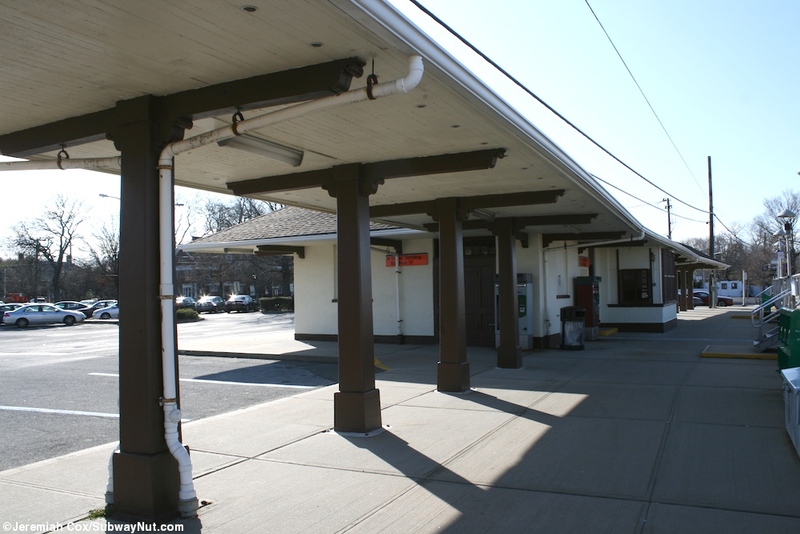 The depot's gabled roof extends providing shelter in either direction from the building and the stop's TVMs are beneath it. 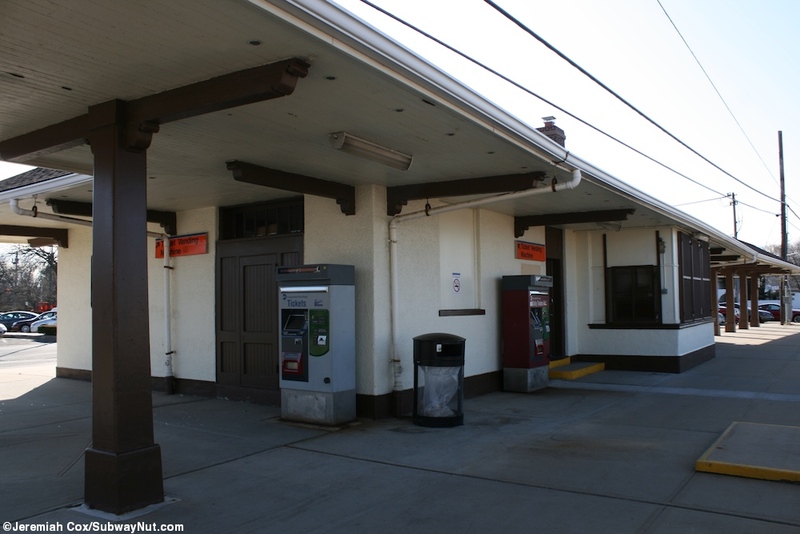 There is also a seperate enclosure with a Bank of America ATM. 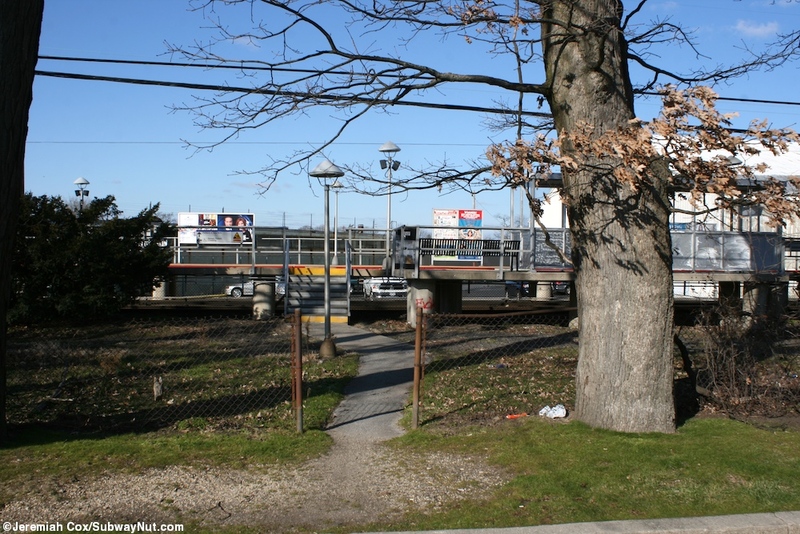 A gap in the fence and a path that winds its way to a staircase up to the New York-bound platform.